If you’re looking for a bakery style peanut butter cupcakes, look no further. 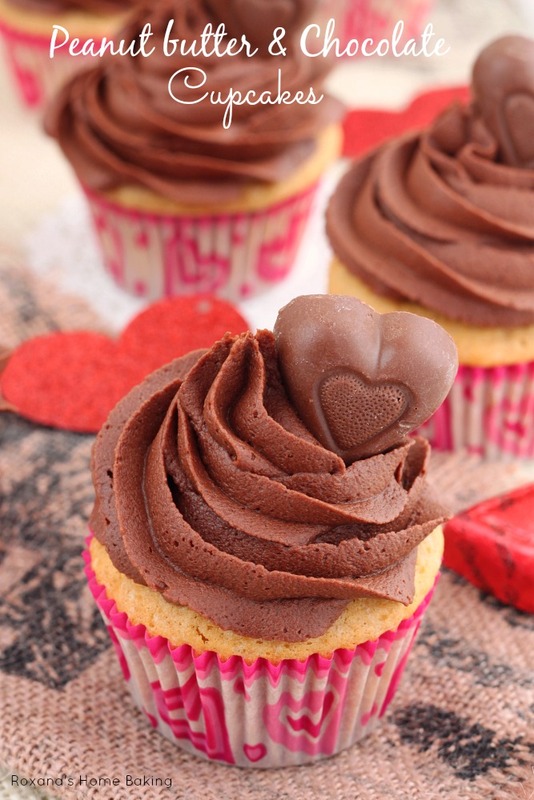 These peanut butter cupcakes with chocolate frosting will knock your socks off! I’ve been on a peanut butter and chocolate kick lately. Reese’s pieces double chocolate cookies, Reese’s peanut butter chocolate brownies and today peanut butter cupcakes with chocolate frosting. That may have something to do with the fact that my husband loves anything peanut butter and, as you know, I live for chocolate! But I have a little secret. While you may not find me eating a peanut butter sandwich, I’m pretty sure I ate my weight in peanut butter cups. 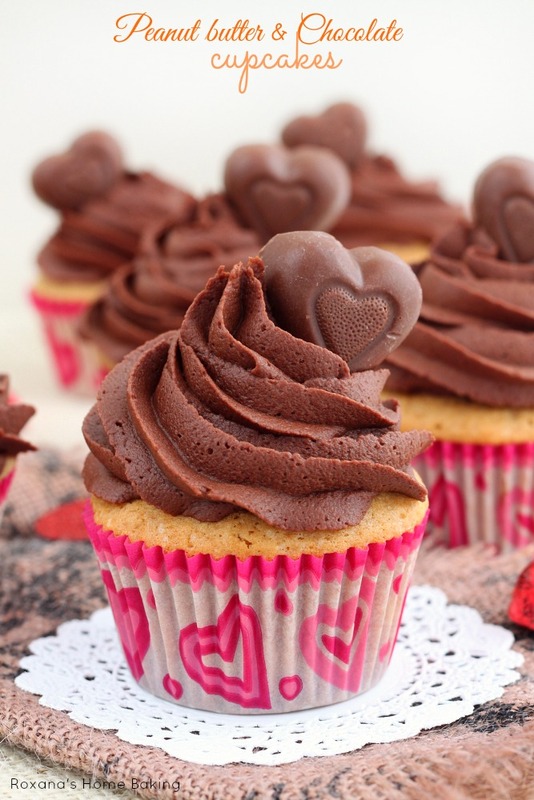 Adding some to these peanut butter cupcakes made them even more irresistible! I’ve seen Reese’s peanut butter cups stuffed cupcakes for a while and I have to admit I tried a few recipes but none stuck with me. I was hoping for a cupcake that tastes like peanut butter, not a white cake with a touch of peanut butter. These cupcakes, on the other hand, scream peanut butter! And that’s not all. 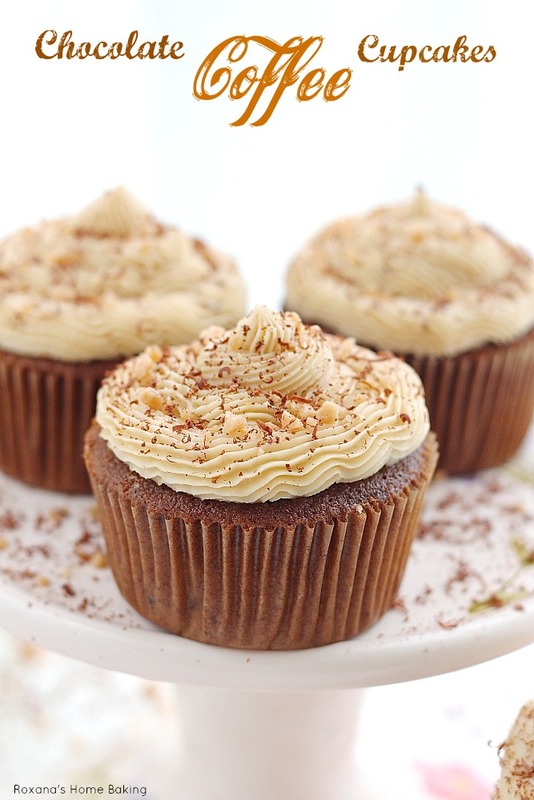 Two secret ingredients made these peanut butter cupcakes moist and tender. Do you want to know my secret? Brown sugar and kefir. Unlike white granulated sugar, brown sugar adds not only flavor but moisture as well. Kefir, just like buttermilk, keeps the baked goods moist but it doesn’t have the tanginess. Of course, if you don’t have kefir on hand you could use buttermilk. The chocolate frosting is one of my favorites! 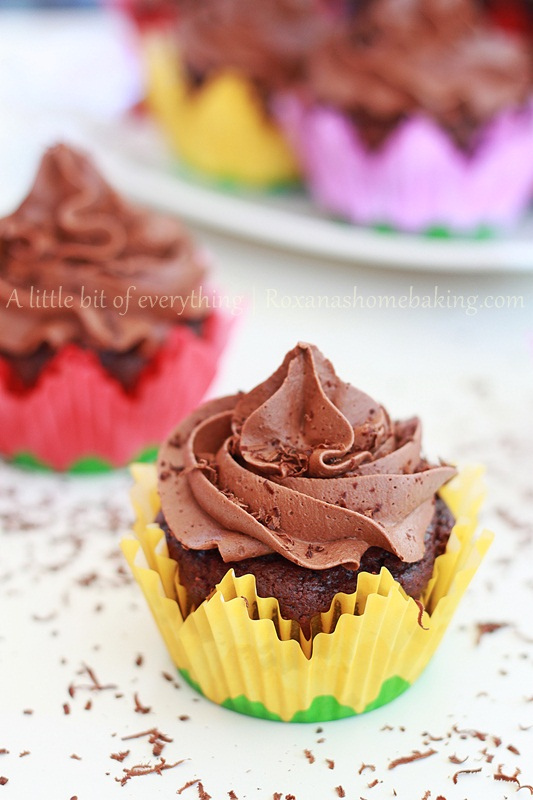 At first I thought of topping these cupcakes with whipped chocolate ganache, but I’m glad I didn’t. Don’t get me wrong, I love chocolate ganache, but sometimes it overpowers other ingredients and I wanted the peanut butter flavor to come through and not just taste the chocolate. I’m pretty sure I’ve said it a few time, but I’m going to say it again – for the lightest fluffiest frosting use heave cream instead of milk. Also, make sure your butter is room temperature. It’s very important that your butter to be soft and whipped all by itself before adding in the remaining ingredients. The recipe yields 2 dozen of cupcakes. I made a dozen plain and 1 dozen with a Reese’s peanut butter cup inside. You can do it either way, it’s totally up to you. 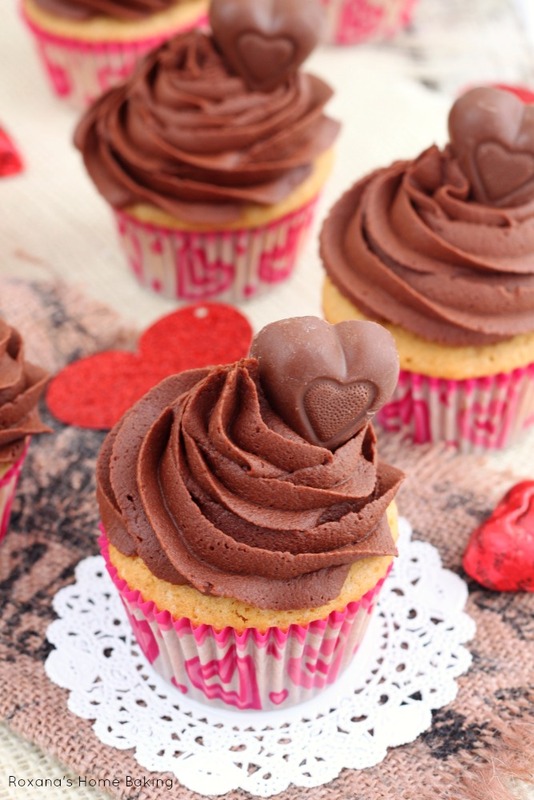 For a fancier look, I topped the cupcakes with a Reese’s peanut butter heart. You could use a mini Reese’s peanut butter cups instead or a half cut regular size peanut butter cup. Heat the oven to 350. Paper line 26 cupcake cups. Set aside. In a mixing bowl add the butter and peanut butter. With the paddle attachment on beat for one minute to combine. And the sugars and beat until light and fluffy, about 3 minutes. Stir in vanilla extract and the eggs beating well after each addition. Gently fold in the flour, salt, baking soda and baking powder alternately with kefir. Stir just until combined. 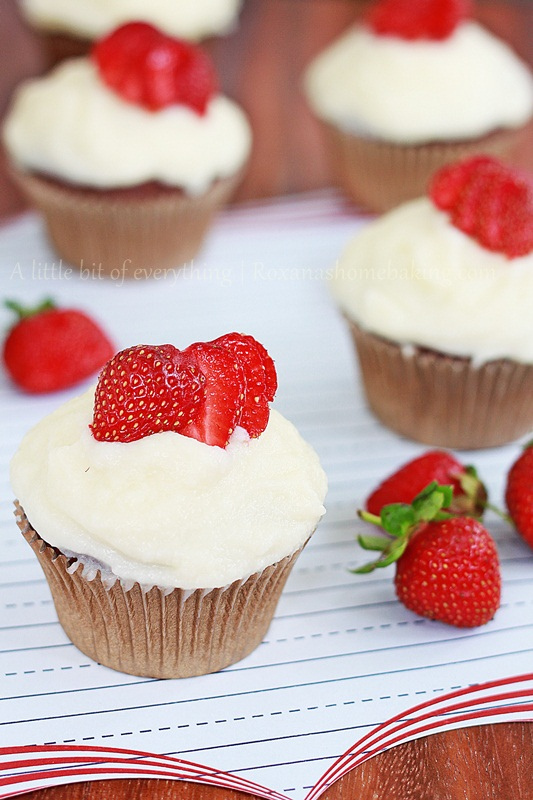 Pour about 1 tablespoon of batter into the prepared cupcake cups. Place 1 peanut butter cup inside and top with the remaining cupcake batter. Bake in preheated oven for 22-23 minutes or until a toothpick comes out clean. Remove from the oven and let cool for 10 minutes before moving to wire racks to cool completely. To make the frosting whisk the butter for two minutes on low speed, until light and fluffy. Replace the whisk with the paddle attachment. Add the heavy cream and beat to combine. Slowly beat in the powdered sugar and cocoa powder, 1/2 cup with the time. Once all the sugar and cocoa powder is added, start adding the remaining heavy cream until you reach desired consistency. Increase the mixer speed to medium and beat for 2 more minutes. 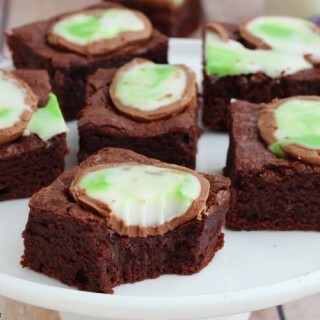 Spoon the frosting into a piping bag and frost the cupcakes. For a fancy look top each cupcake with a peanut butter cup. How much peanut butter in the cupcake? Yum. This sounds good. I'm thinking about trying it. Before I do, I have a question for you. The 26 reese's that you use....what size are they? Is that the small ones or the big ones that come in 2 per pack? 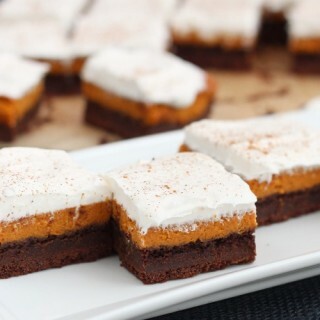 I'm addicted to pb and chocolate so these are right up my alley. Love how cute they are when you decorated them. 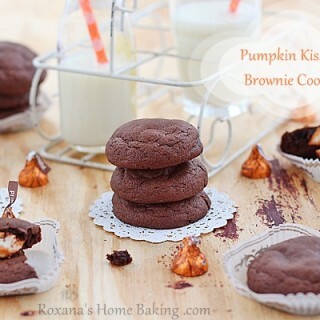 These are so beautiful, Roxana! Such a perfect dessert for my choco-lovin' Valentine. He would love these! I'm dying I want one of these so bad!!! Peanut butter and chocolate is the best combo ever! These cupcakes are glorious, Roxana, especially with that luscious, creamy, mile high mound of frosting. These might become hubby's new birthday request. I have never known another person to love PB more than him, he will LOVE these!